Every year, rural communities in Peru carry out an ancient tradition that stems back to the age of the Incan Civilization. Considered a sacred expression of ritual, history and renewal, Peruvians annually spend three days weaving the Q’eswachaka rope bridge to cross one of the many gaps in the ancient Incan road system. The bridge is the last of its kind. The treacherous process of hanging the Q’eswachaka rope bridge across a span must be repeated each year, but it “structures the life of the participating communities all year round, establishing communication, strengthening centuries-old bonds and reaffirming their cultural identity,” according to the United Nations Education, Scientific and Cultural Organization (UNESCO). 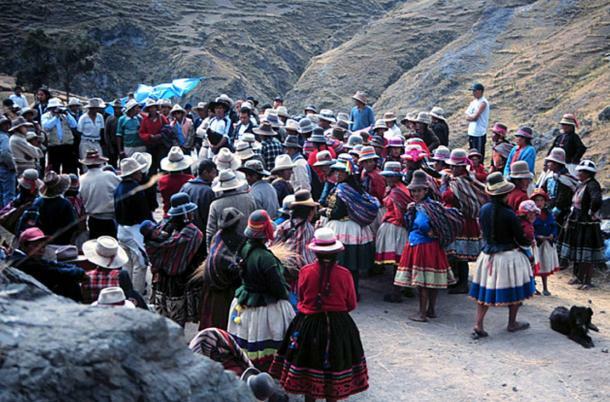 Each year, Quechua-speaking communities gather at the gorge of the Apurimac River in the southern Andes. They collect the raw materials – natural fibers and local vegetation – to twist and weave in order to form strong ropes. The ropes are braided into cables which are then laboriously raised on each side of the gorge, and craftspeople go to work weaving the many ropes into a footpath and handrails, starting from opposite ends to meet in the middle. The bridge, though made only of grasses, straw, and sticks, swings over the gorge and supports local foot and herd-animal traffic, as it has for hundreds of years. The hanging structure is located 2.3 miles (3.7 kilometers) above sea level and is 92 feet (28 meters) long, reports Spanish-language news website Peru21. Each family will produce approximately 230 feet (70 meters) of rope during the event. Once the bridge is complete, a celebratory festival is held. Each year the process must be repeated, as the fiber bridge sags and requires replacement. 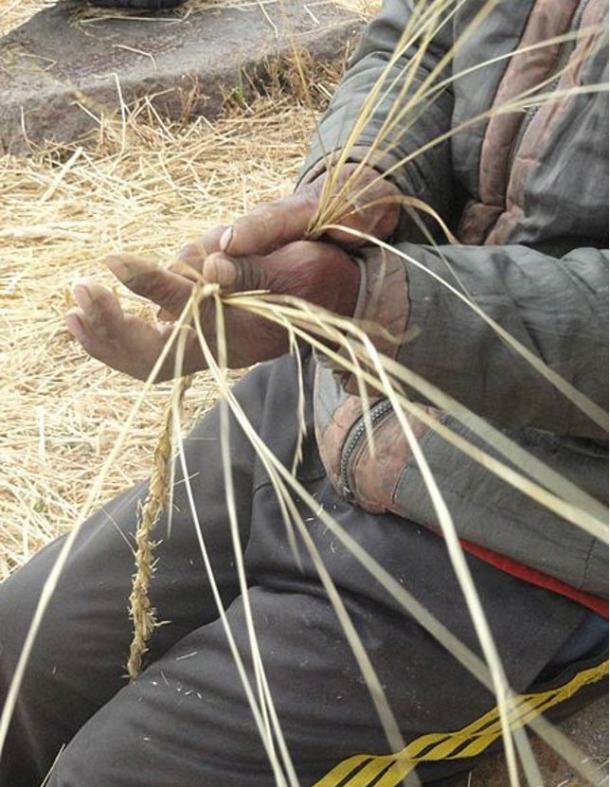 The locals maintain the crafting skills and tradition of the bridge by passing the knowledge down generation-by-generation – methods dating to the Incan Empire. In 2013 the efforts of the communities, and the importance of the bridge and tradition were recognized by the Peruvian government, and UNESCO, qualifying the skills, knowledge and rituals of the bridge building a part of the Intangible Cultural Heritage of Humanity. The hanging bridge forms a part of the Inca road and building system, a 20,000 mile (32,187 kilometer) long transportation system of pre-Columbian South America. The fiber bridges spanned canyons, rivers, and gorges, and were perfectly suited to pedestrians and livestock, as the Inca did not use wheeled transportation. The paths and bridges were a necessity for communities and their livestock, but were also regularly used by herdsmen and their llamas or alpacas bearing goods, as well as Chasqui runners. Chasquis were highly athletic, trained runners who ran great distances, across thousands of miles of roads and bridges, from relay station to relay station. They transported messages or light goods, such as fish. 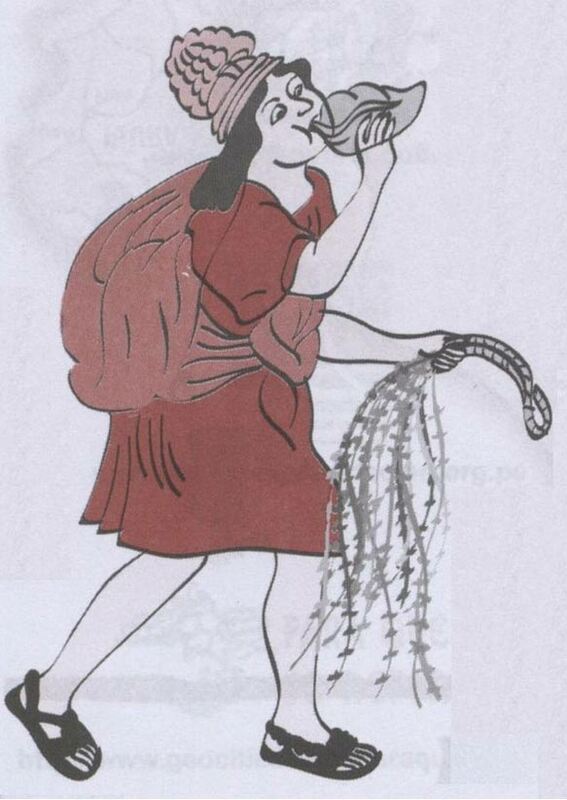 They carried a conch shell which they used as a trumpet. Hanging and maintaining these bridges was, and continues to be, a dangerous activity. The book ‘Incas: Lords of Gold and Glory’ notes that those working on the bridges often died. It is clear the annual hanging of the Q’eswachaka rope bridge is a labor of love and respect in order to honor ancestors, unite communities, and carry on ancient tradition. 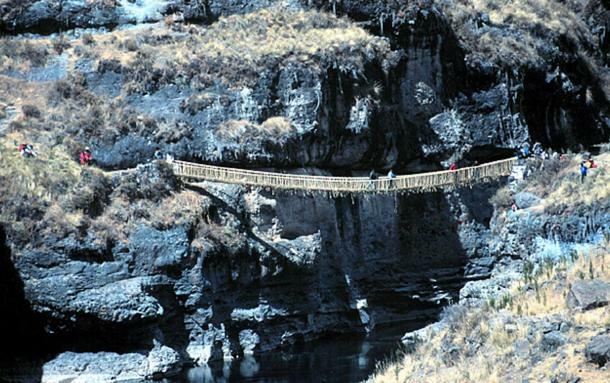 Featured Image: The Q’eswachaka rope bridge. Credit: Ministry of Culture, Peru.